It is important, then, that we teach our children how to keep promises. The best way to begin is by instructing them on the importance of a simple promise. Family dinners are a sacred time for everyone to connect and relax. Ask your children to promise to be home by whatever o’clock every day from play. Equip them with a timepiece. In a perfect world, dinnertime will be sacred when they raise their own families. To complete all homework each night and follow a time table. This is something you can easily monitor daily. Better grades mean better opportunities. To be kind to siblings. Encourage strong relationships and bonding between the siblings. This will help them to nurture their relationship in future. To put a portion of his allowance or monetary gifts into savings. Asking for this promise will help him be financially responsible as he matures. To keep their speech clean. A simple promise to not use bad language or engage in dirty joke telling. Telling children they should promise to pray daily will help them to establish a good communication with God and to rely on Him in times of doubt or uncertainty. Teach your children to love to serve by having them promise to do something nice for someone each day. To not smoke, drink, take drugs or view blacklisted sites on web. Making them aware of the dangers involved in addictions will encourage them to make and keep this vital promise. To plant trees and take care of them regularly. Making promises alone isn’t enough. They need to make a concerted effort to keep every single promise they make in order to establish the sacredness of them. There are probably many more ideas that you will come up with as you raise your children. Like reading at least one good book a month or taking care of a pet they ask for. Explaining exactly what a promise, vow or covenant is. Helping them understand that their character will be built upon them keeping a promise that they make. That they shouldn’t make a promise unless they are prepared to keep it at all cost. That if they break a promise, it is serious, but that repentance is always available to them and that it is important that they do so and then let it go, vowing to keep it once again. That keeping promises will help them as adults with aspects of their lives that are even more important, such as marriage and careers. Simple childhood promises help establish a pattern of lifelong commitment that they can carry into their adult lives and pass on to their own children. Consider teaching this valuable lesson in a family night or even one-on-one with your kids. Make it a special evening when you can discuss it without outside interference. Our children’s success and achievements makes our day, isn’t it? Let’s work together to achieve it. It’s never too late to start thinking about your child and help them set targets of their own by helping them make doable promises. 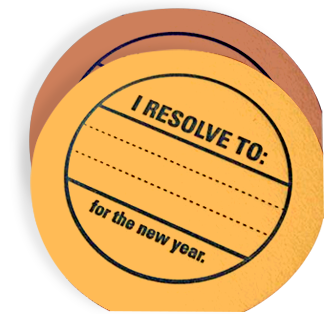 Share how you motivated your child to take a good resolution; we’ll feature it on all online platforms!